Wholesale distributors that hold onto the old business models are increasingly finding that these models don’t work as well as they used. As a new generation of workers move into management positions, they expect that the wholesalers they do business with will be able to communicate with them electronic data interchange (EDI), enterprise resource planning (ERP) and industry vertical add-ons certified to work in tandem with an ERP solution ecosystem. To capitalize on new opportunities created by enterprise technologies, many wholesale distributors are now partnering with qualified IT professional services partners like Vision33 to provide them with the right combination of technology and enterprise services to meet their needs. The following are several essential technologies being employed today to overcome the industry’s key business challenges and how they can be used to help your business. You may be familiar with the term ERP, or enterprise resource planning software. 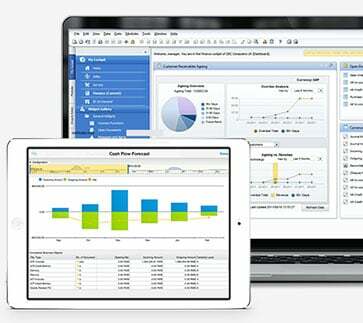 But what are the key difference between the system that currently runs your business and ERP? As your company continues to grow, so too will the need for support of additional processes and functions. However, the trouble with accounting programs that run many growing SMEs is that they are designed primarily to support the accounting function. At this stage of growth, wholesale distributors look to ERP technology to consolidate their business systems and support continued business growth. Electronic Data Interchange or EDI is another essential tool for the modern wholesale distributor interested in opening new channels. Using EDI, companies can send information digitally from one business system to another, using a standardized format. The term EDI describes both the transmission of the data as well as the translation into a standard data format. EDI allows companies to exchange data electronically rather than by paper. It’s an important component for automation in business processes and will enable the wholesale distributor to open new channels to their sales once they can interface directly with customers through their supply chain. 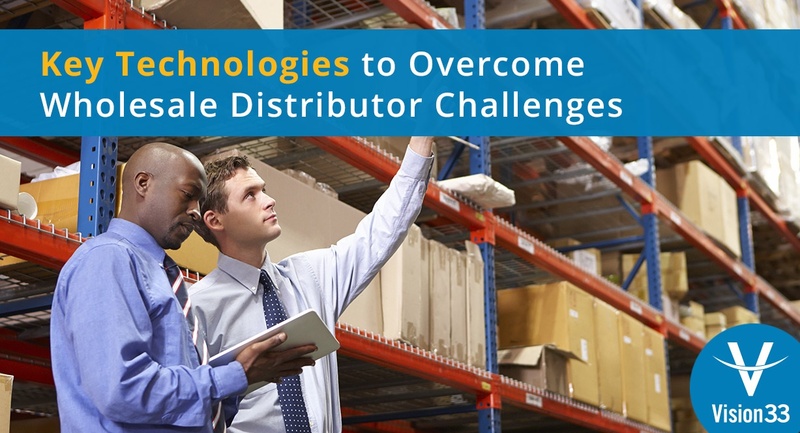 Smart wholesale distributors thrive in the context of the industries that they compete in. ERP offers industry and micro-vertical support helping wholesale distributors run better with best practice business processes and intelligent technologies. While no software developer can create the depth of products required to work well for every type of business, ERP is designed for customization. ERP has deep functionality ideal for vertically enhanced integration with software from partnered software solution providers (SSPs). Want to Learn More About These Enterprise Technologies? Download Vision33’s 'The Technology Solution for the Modern Wholesale Distributor’ guide today and learn how you can overcome these challenges and more by embracing the digital economy.